1814. 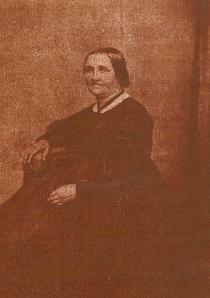 He married Anna Mariah (known as Maria) Travice (or Travis) on November 3, 1839.
of 597 to 481 for Henry Tidman (Dem). He had to refuse a second term because of ill health. buried in Junction Cemetery, Grand Junction Township, Greene County, Iowa. children were Harry (1880), Lena (1882), Martha (1885) and Ruth Augusta (April 21, 1898). 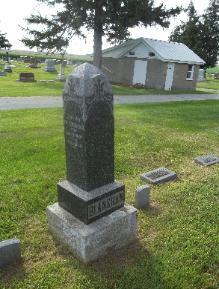 County, Iowa, and is buried at Laurel Hill Cemetery. Olive E. Blanshan - Born about 1861 in Scott, Sheboygan, Wisconsin. 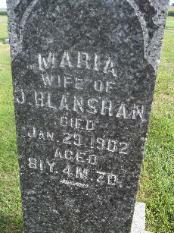 She married J. R.
Boone County, Iowa. Olive and Justin appear in the Boone County Census of 1920.
some time after 1939 while living in Polk County, Iowa. mos. She may have died of diphtheria. 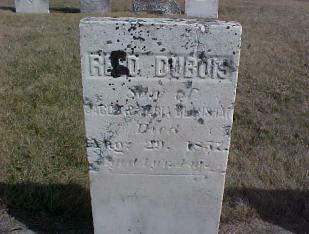 Reed Du Bois Blanshan - born May, 1856. 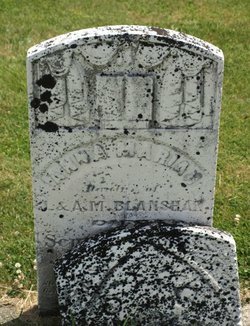 He died August 20, 1857, probably of "black"
Henry Blanshan - born February, 1855. Died August 26, 1857, age 2 years 7 months. Junction Cemetery, Grand Junction, Iowa. 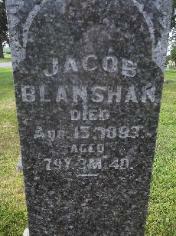 administrator of the estate of Jacob Blanshan, who died in Greene Co., IA on 15 Aug.
potatoes, household furniture, $80 cash on hand. He owed $50 to Mr. and Mrs.
interest. David and Daniel Blanshan signed the accounts sheet. and Daniel Blanshan were named to appraise the late Jacob Blanshan's property. was the most valuable. The buggy fetched $25 and the plow just $2. accepted as there were no additional filings about the estate. when his wife would come fleeing to him in terror in the fields [!?!]. 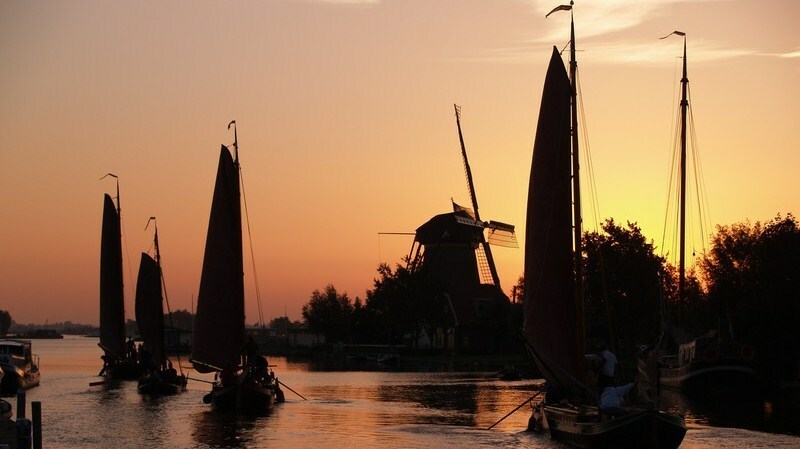 years old, and she was reared in a family of Quakers by the name of Moser. art of weaving. Mrs. Blanshan had three sisters: Ida, Sophrona and Olive. o'clock, conducted by Rev. A.C. Zellhoefer."